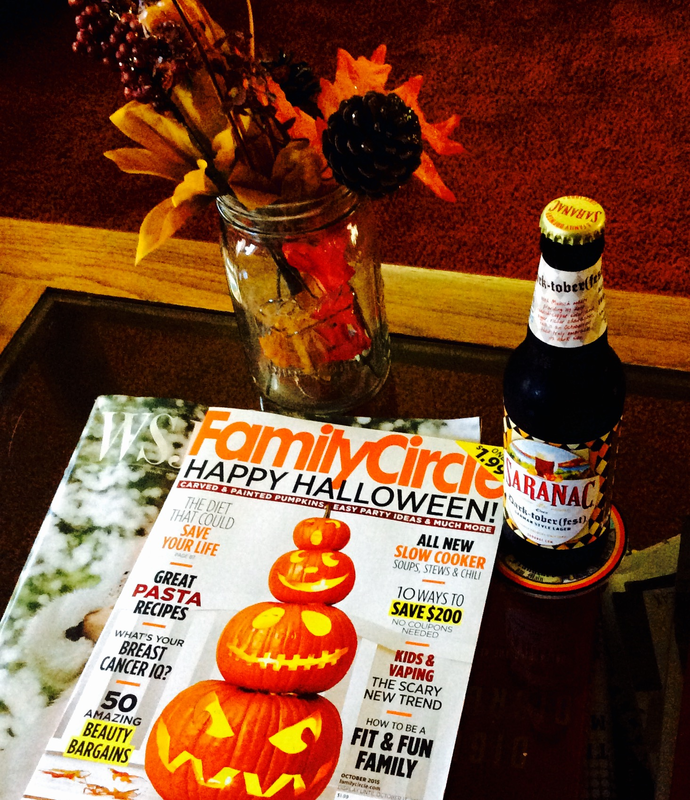 During the fall, most of us are overcome with a strong urge to decorate, filling our homes with fake leaves and throwing Indian corn and scarecrows up on our front porches. In your transition from summer to autumn, I would highly consider giving this project a try. For less than ten dollars, you can create two beautiful and unique pumpkin planters, pieces that you will be able to use for many years to come! Mix your concrete following the instructions on the bag. We mixed our concrete by using a shovel and wheelbarrow. 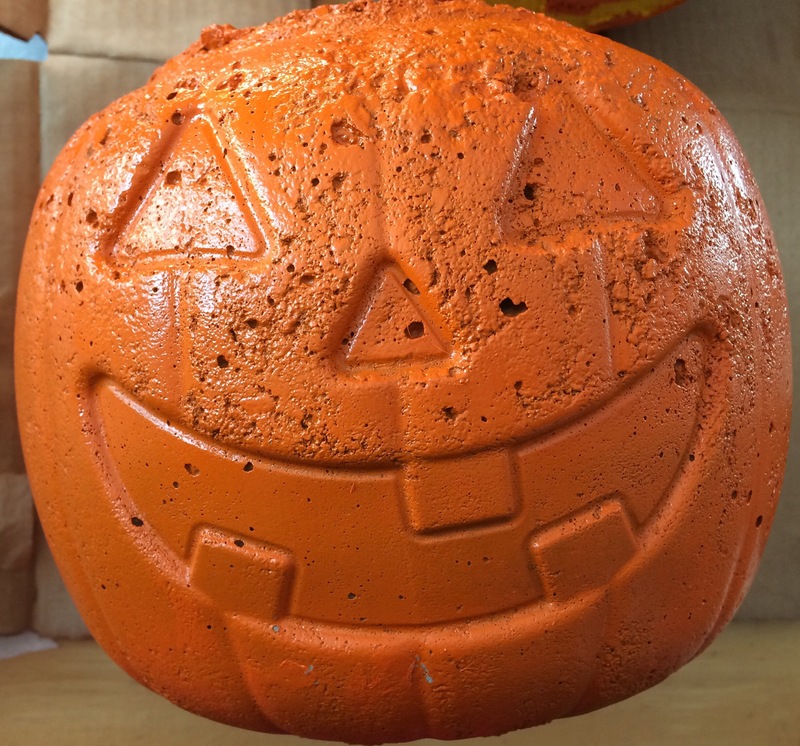 Tape a small square of styrofoam to the bottom of your plastic pumpkins (this will be for the water to drain out the bottom of your planter). 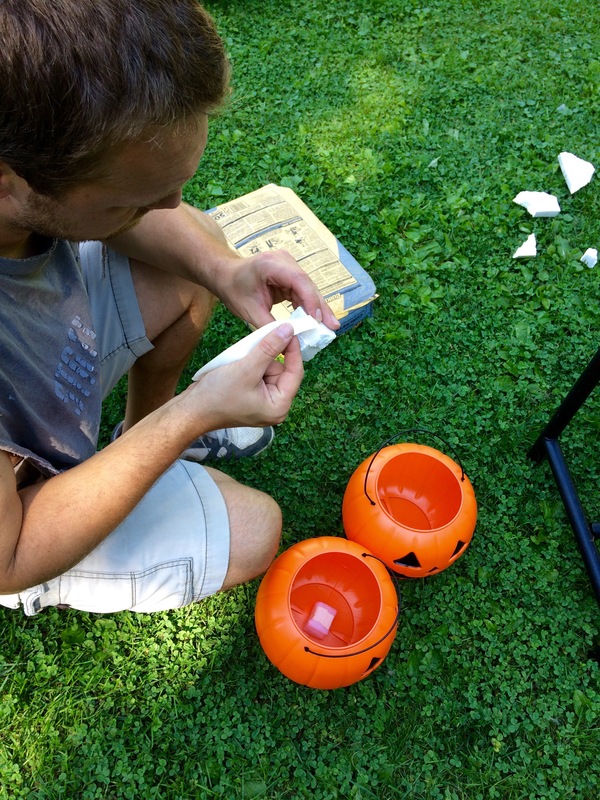 Spray the inside of the plastic pumpkins and the outside of the placeholders (gatorade bottles) with cooking spray. Set the placeholders on top of the styrofoam pieces inside the pumpkins. Fill the pumpkins with concrete while holding the placeholders steady. Occasionally shake the pumpkins to ensure the concrete is settling properly. Once filled, leave the pumpkins to set and dry. If able, place them in the sun to speed up the drying process. I would recommend giving them 24-48 hours to set. Once the pumpkins have properly set, cut away the plastic using a box cutter or exact-o knife. Remove the placeholder inside each pumpkin. Cure the planters by placing them in a bucket of water or misting them with a squirt bottle. 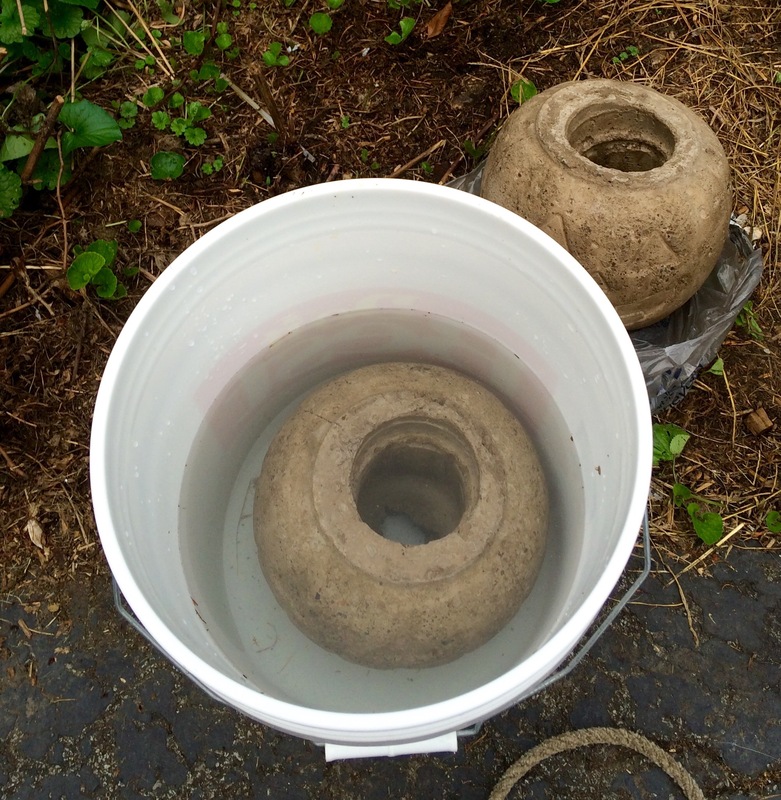 We let our pumpkins sit for about a week, giving the concrete an adequate amount of time to set and cure. If interested in decorating your pumpkins with paint, I would recommend first spray painting them with orange paint, creating a base layer for further decoration. I would also recommend two coats of spray paint, making sure you are filling in any small pores that may have formed in your concrete. 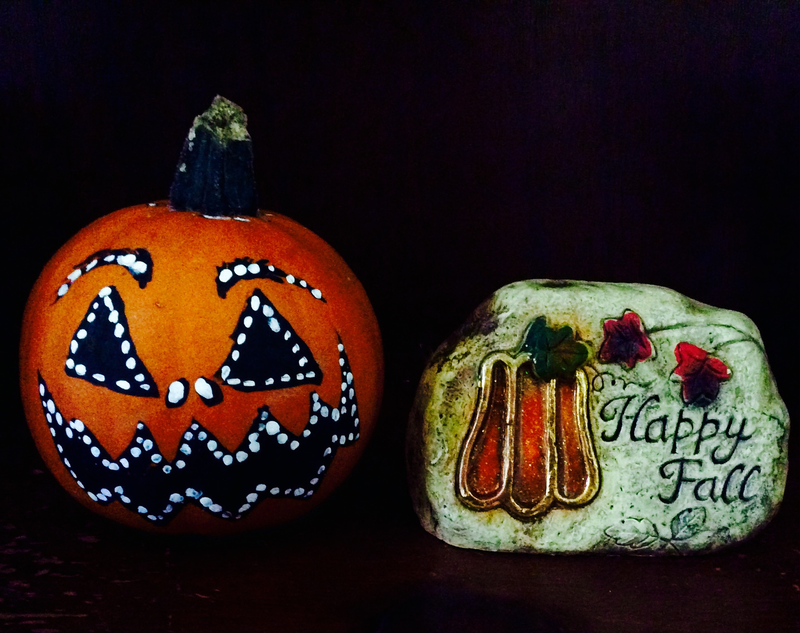 Once the spray paint has dried, you can use acrylic paint and a paint brush to fill in the your pumpkins’ faces. Last, but certainly not least, fill your planters with mums or other fall-time plants. And there you have it: two beautiful planters that you can use year after year for under ten dollars. So, what are you waiting for? Halloween is only 6 weeks away!